Cook the red beet and cut into cubes easy that are easy to blend. You can use pre-cooke beets. For an extra creamy sensation you can add 2 tbsp of whipped cream. 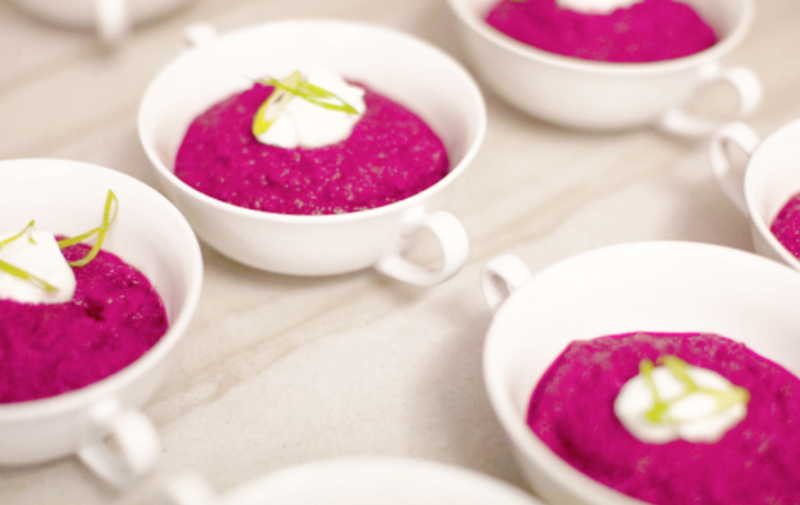 Mix the beets in a blender till you get a nice creamy consistency. Distribute the consistency over 4 glasses and put a slice of goat cheese on top. The thinner the goat cheese the easier it is to break with your spoon. Garnish with dill.